Founded at the end of 2014 in Berlin, Dörrwerk pursues a very important mission: saving the not-so-good-looking fruit from ending their days in a trash can. We asked the Dörrwerk founder, Dr. Zubin Farahani, a few question about changing her career from medicine to fruit paper production, operational difficulties and daily food choices. How did the career change go for you? I have always been interested in running a company that not only makes money, but also makes sense, and when a friend gave me the idea to use surplus fruits for a healthy product I decided to give it a try. I never planned to completely leave the medicine world, but right now I’m taking a break to see how far we can go with the Dörrwerk. What was the most surprising moment after just starting Dörrwerk? What was most challenging? Surprising: That there is really a lot of food waste, which I didn’t expect. How does your medical knowledge affect your approach to producing fruit paper? My medical knowledge, but more than that my mother’s education, always makes me look for healthy and tasty food. 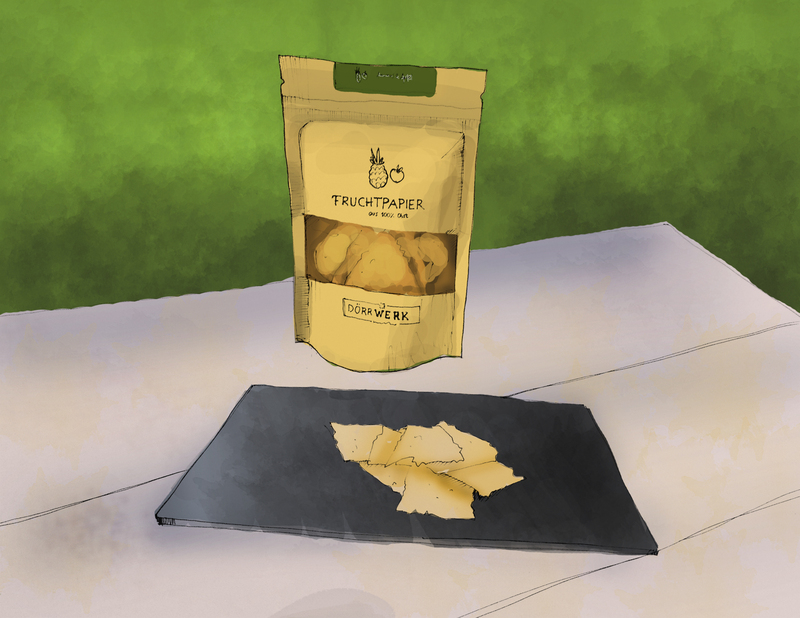 The goal of this project was on the one hand, do something against foodwaste, but on the other hand also to create a snack that is much healthier than most other things you can buy in the supermarket. Does it influence your food choices in daily life too? Yes – I’m starting to buy damaged bananas for myself in the supermarket because I know that If no one buys them they end up as foodwaste. What was the initial reaction of farmers and markets when you explained to them your idea? Many were not interested and just happy to sell some surplus or overripe fruits. Some also felt ashamed when they had to admit that they throw away a lot of food. Actually, would be interesting to know, why fruit paper, and not any other type of product (like jam, or smoothie, or any other product that does not require whole fruit)? I like chips and crispy food and I was looking for a way to carry these fruits with you during your day. You usually don’t carry jam in a box to work. Smoothies only last for a few days. Dehydrating is a technique that is nearly forgotten in Germany although it offers excellent possibilities. And finally, it is clear that fruit paper makes a great snack for both kinds and adults, but are there any recipes you would suggest to use it for? To learn more about Dr. Farahani’s project or to buy some fruit paper of your own, head over to the Dörrwerk website.